HÀ NỘI — The start-up frenzy started in Việt Nam around two years ago with the Government calling for more investment in the community and demonstrating political will with several pragmatic actions. The biggest move was the approval last year of the “Supporting the National Innovation Start-up Ecosystem by 2025” scheme, also known as Project 844. The scheme would pour an estimated VNĐ2 trillion (US$88.8 million) into around 2,000 hi-tech start-ups. The Hà Nội People’s Committee officially opened in January the VNĐ7 billion Hanoi Innovative Business Incubator of Information Technology (HBI-IT), while the HCM City Start-up and Innovation Fund (HSIF) was set up last summer. The fund aimed to raise VNĐ100 billion by 2020 to support local businesses founded by any entrepreneur below 35. Universities did not lag behind, losing no time in establishing start-up centres and encouraging students to take part in entrepreneurship competitions. The latest report of the General Statistics Office has announced the highest number of newly-established businesses in a quarter over the last six years. Quarter 1 of 2017 saw 26,478 businesses set up, which means more than 100,000 new firms just this year. It can be said safely that Việt Nam is on the track to becoming a start-up nation, but this statement needs to be qualified. Dương Văn Bá, deputy head of the Student Affairs Department under the Ministry of Education and Training, believes that everything that has happened thus far is just "harvest at the top." The root of the solution, an ultimate transformation of Vietnamese entrepreneurship via the education system, remains problematic, he said. The MoET is planning to submit an ambitious plan to Prime Minister Nguyễn Xuân Phúc this month that will try to make sure that the current start-up frenzy does not fade into a disappointing gold-rush. The plan, "Supporting student entrepreneurship 2017-2010 with a vision towards 2025", aims at equipping college students with basic knowledge and skills on how to start a business, and more importantly, change the mindset of the students on entrepreneurship. "Most of the students now think of asking for a job after graduation, not creating the job themselves," said Bá, responsible for drafting the plan. "This stems from a lack of understanding about entrepreneurship. As long as they (students) get to know what entrepreneurship really means, they will have different ideas." The interesting part, also one that makes the plan stand out, is that every student – regardless of her/his major or which university she/he belongs to – have to learn about entrepreneurship. In other words, even medical or journalism students would need to learn some business lessons. "It is true that medical students would mostly work as doctors post-graduation. But they can also run a business selling medical equipment or a clinic, for example, better then those who’ve not studied medicine," Bá said. "We can open a business in any sector. What we need is educated students who have the spirit to do it. "The ultimate goal of the plan is to make start-up a universal concept, so everyone knows how to start and run a business." Nguyễn Trung Dũng, CEO of BK Holdings - the enterprise network of the Hà Nội University of Science and Technology, which remain the first and only one of its kind in the country that supports college entrepreneurship, said Việt Nam should work on the entrepreneurial mindset of students before providing them the tools like accounting or marketing. He said students in the US or Europe focus on the application of knowledge to solve real-life situations since junior high school. They are taught using the STEM or STEMA education model, which integrates several subjects together. The first acronym stands for science, technology, engineering and mathematics; art and design are added on for the second. Vietnamese students have to study too much, including unnecessary subjects, Dũng said. "I always wonder why a city student has to learn how to raise pigs, but not more important things like how to manage finances, how to set up a company or how to file for bankruptcy," he said. The obstacle to having a successful start-up community in Việt Nam was no longer a question of money, Dũng said. The country has so far had several business accelerators or incubators that are likely to further expand in the near future, and investors are still hungry for potential start-ups that they can invest in. The environment exists, therefore, for start-ups to thrive. The ‘missing link,’ and the most important factor, is human resource. "And strong seedlings can only come from good entrepreneurial education." Massachusetts-based Babson College, the top US institution on entrepreneurship education, has an interesting way of nurturing young entrepreneurs. The Babson freshmen, regardless of their majors, are divided into random groups and tasked with starting a business from zero. "And almost none of them succeed. But we are happy about that because they will learn much more from failures than they ever can from success," said Babson College President Kerry Healey. In the end, all student businesses are forced to shut down, so they learn how to open, run and close a business – essential lessons for future entrepreneurs, because a lot of business ventures are doomed to fail. "If you know how to do it, you are not scared anymore," Healey said. "The countries whose cultures have the most problems being entrepreneurial are the ones scared of failure, who find it humiliating to fail or uncomfortable to talk about problems when things do not happen the way you want it to go." With Confucianism running deep in its veins, there is a deeply ingrained culture of saving face in Việt Nam, a social stigma about failure that the younger generation still cannot escape. 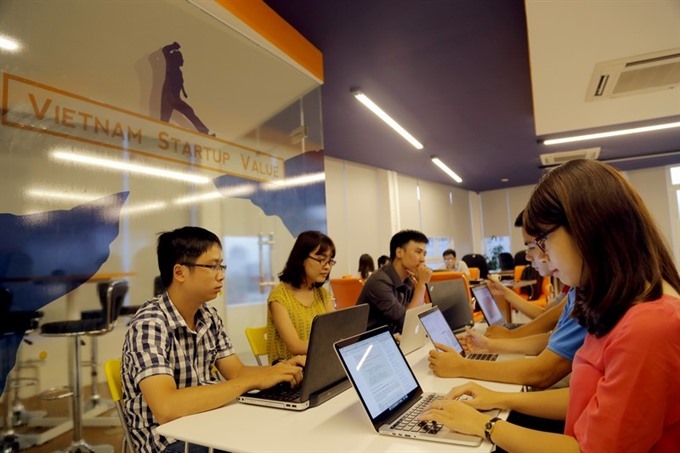 A report last year by the Global Entrepreneurial Monitor (GEM) showed that about 57 per cent of Vietnamese think there are good opportunities to start a business, while 73 per cent consider entrepreneurship a good career choice. Despite such promising perceptions, more than 45 per cent fear business failure. 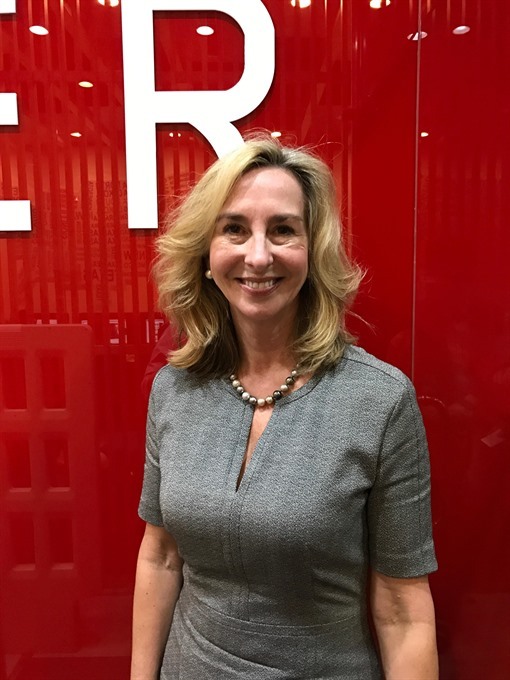 "Our belief is that if you were to be a successful entrepreneur, you have to learn how to think and act like one; not simply do the accounting, file the papers or run the business on a daily basis," Healey said. Another key part of the new MoET entrepreneurship supporting plan is to encourage universities to set up start-up funds for students in need. Such funds will not be compulsory, said Bá, adding that it would depend on the financial capability of the universities. The MoET is open to the idea of the universities - most of which are public - partly funding students’ start-up projects. Young and poor entrepreneurs are typically afraid of taking loans of hundreds of millions of đồng, Bá said. "We don’t expect the universities to financially cover start-up projects 100 per cent. The funding would only act as an accelerator for the business idea," he said. 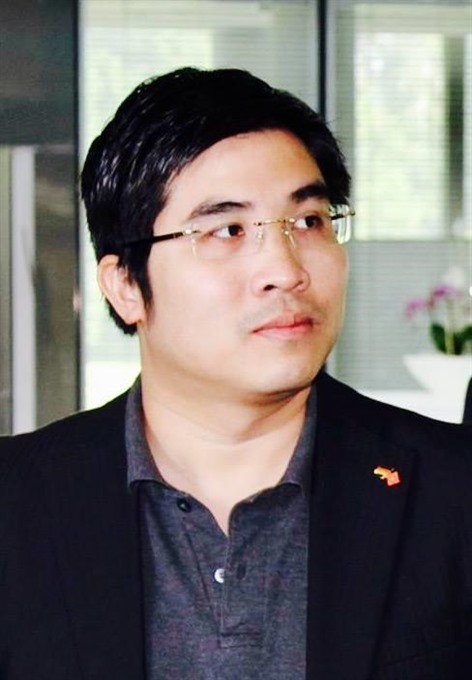 Ngô Anh Tuấn, the 26-year-old CEO of Boardgame Việt Nam, which produces and distributes boardgames across Việt Nam, said that he doubted the efficiency of such funding. He said he supported the idea that universities should have fund for student start-up activities, but felt the money should be spent to create a platform for students to develop and realise their business ideas on their own. "Universities can provide books or materials on entrepreneurship, organise talk shows by experienced businessmen, and act as a bridge between the students and investors," he said. "This would work much better than to give the money directly to the start-ups." Healey felt that a university should not carry a funding role. She said that it is the Government, she said, which has the responsibility to train entrepreneurs in applying for funding and help financial institutions understand the needs of the entrepreneurs. 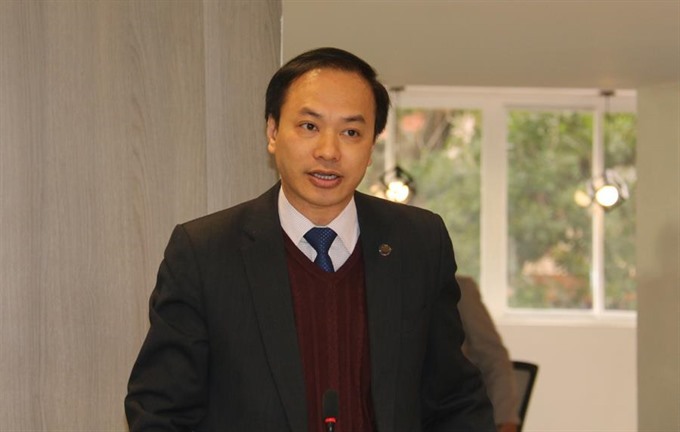 Dũng agreed that Government should only issue policies and not act as a business investor, especially when taxpayers’ money will be thrown into start-up ventures that, on average, have a less than three per cent chance of success. Private enterprises, or investors, should be the ones who will judge which seedling is bad and which is strong, Dũng said. "In case the Government wants to encourage start-ups via investment, it should play matching funds, follow the investment decisions of credible investors," he said. Singapore is a great model of matching funds, as the Government-private investment ratio stands at 1:1.